Today on The Worth Project we’re getting really honest about our money. 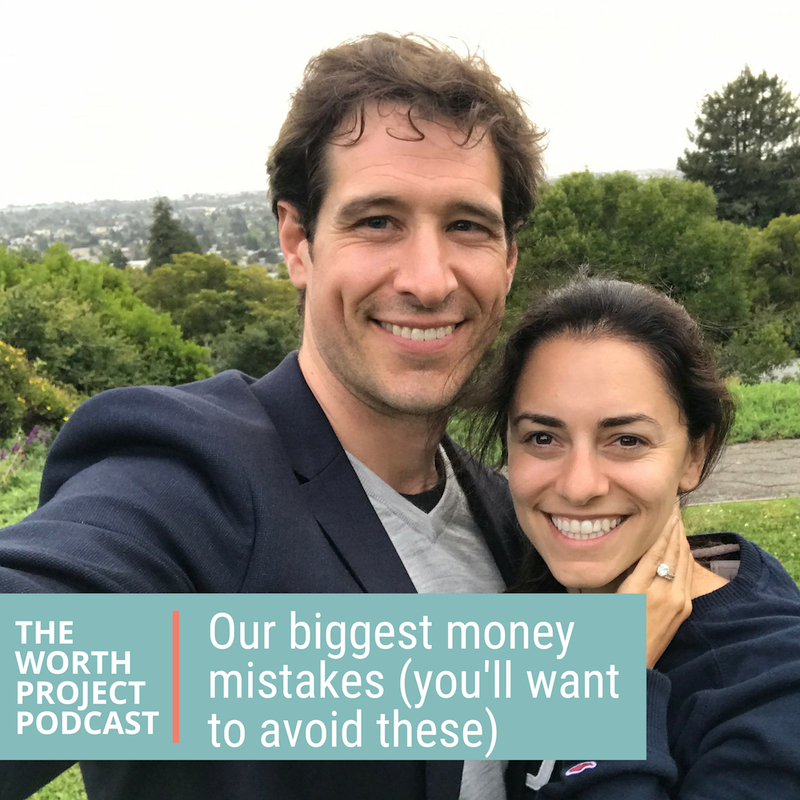 We’re talking about what we’ve done with our money in the past to get us to this point, our biggest money mistakes, and some of the changes we’re making going forward. Some of these mistakes are very cringeworthy (like that time Jordan called a loan shark…) and some of the new habits or defaults we’ve created that are really helpful. In this podcast, we talk about the cash money and we also talk about our money mindsets, which we’ve worked really hard to improve over the past few years. We share these things for two reasons. First, to help give you some idea about what has worked for us when it comes to money because maybe some of it will work for you too. But we’re also sharing this to let you know that we make mistakes too. A lot of them. And while we wish we could have a few do-overs, talking about these mistakes helps us learn from them, and we hope you’ll learn from them too.